Several factors have led to a widespread interest in IP video surveillance solutions, not the least of which being its vast improvements over traditional closed circuit monitoring technology. However, there’s no one-size-fits-all solution when it comes to actually implementing IP video technology in an enterprise. Different enterprises have different security needs, and this blog will cover how to best implement an IP video strategy based on the size of the enterprise. Large companies need a solution that meets regulations, offers large camera counts, installations, remote management options, and large data storage. They likely have a full IT to manage security and a budget to support this team. The best solution for a large enterprise is a surveillance storage target. These high capacity, scalable, localized network storage devices support most IP cameras and video management system applications, and offer the best solution for a company that needs maximum storage and flexibility with VMS. Regional franchises may need to secure up to 20 locations, but may lack the IT resources and budget to support a solution that incorporates storage, VMS, IP cameras, and remote management. The optimal solution here is an integrated video management system which offers great compatibility with VMS systems and applications as well as scalability to allow for future growth. Expanding small businesses are often starting from square one in terms of video surveillance, and just as often lack the IT support and infrastructure to manage this solution. For small businesses, a hosted video surveillance solution. By utilizing the cloud for network storage, small businesses can save on storage and network maintenance requirements while maintaining secure access to video surveillance recordings through the cloud. 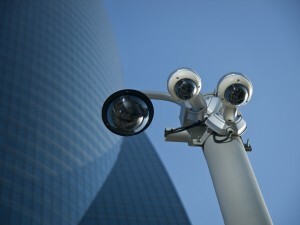 Security Systems in Columbia from ARK Systems, Inc. Located in Columbia, Maryland, ARK Systems is dedicated to providing unsurpassed quality and excellence in the security industry, from system design to installation. We handle all aspects of security with skill and experience. With over 30 years in the industry, ARK Systems is an experienced security contractor. Trust ARK. For any further questions about Matching Different Size Enterprises With the Right Video Surveillance Solution simply contact ARK Systems at 1-800-995-0189 or click here today. Check us out on Facebook and Twitter as well! This entry was posted on Thursday, December 5th, 2013 at 3:13 pm. Both comments and pings are currently closed.